Raise your hand if you’re an Apple lover. Did you raise yours? Good. Now raise your hand if you’re iTunes lover. Sadly, there probably might have been no reaction to that last request. Talking about iTunes Match, though, the cloud service that lets you store and access music in the cloud, it might have much more followers. Why so? Everyone wants to free up space on his or her device and access music anywhere as long as there is Internet connection. iTunes lovers don’t make an exception. VOX Cloud turns out to be a worthy rival of iTunes Match. Here is why we think so. iTunes Match capacity is 25,000 songs. VOX Cloud (previously called LOOP) stores the UNLIMITED amounts of music. It can be 25,000 songs or 250,000 songs and more, there is no edge for your music in cloud. iTunes Match is, obviously, a close brother of iTunes, and has some relative family features. One of them is the inability to recognize FLAC format. So far, MP3, AIFF, WAV, MPEG-4, AAC are the formats iTunes Match supports. VOX Cloud has a richer selection to offer: aif, aiff, ape, alac, aac, m4a, mp4, caf, flac, mp1, mp2, mp3, mpc, sd2, vorbis ogg, spx, tta, wav, wma. Audio formats supported but played after downloading only in Loop (not streaming): it, mod, m4b, s3m, ay, mo3. iTunes Match sets a limit for the matching format. It’s only 256 kbps AAC. VOX Cloud gives what it gets. It matches only the songs of the original quality. FLACs stay FLACs! iTunes Match annual subscription costs $24.99. You can scan and match your songs with the iTunes music base of more than 43 million songs. Your purchases don’t count against the total, though. VOX Premium (cloud is a feature inside) has a variety of subscription plans: from $4.99 per month, $49.99 yearly and more options. iTunes Match goes along with Mac, PC through iTunes, iPhone, iPod Touch, iPad, Apple TV. VOX Cloud is available on Mac, iPhone, Apple Watch. Android and Windows support is to launch later on this year. To use iTunes Match one must have iTunes account. To use VOX Cloud, you have to sign up for VOX account, then download VOX Player for Mac and VOX Player for iPhone to sync music between them and listen to it freely on these devices. 10 devices is the limit of devices for iTunes Match. VOX account erases the limits. The limit on the number of devices you can use the service on is one of them. If you’re a music recording studio, and you have, say, 6 Macs, 2 Apple Watches and 11 iPhones, how do you get access to the same music on all of them? VOX Cloud can be the easiest solution. In the end of this feature battle, we want to mention some great integrations both services provide. iTunes Match gives unlimited ad-free streaming from iTunes Radio. And… that’s all, actually. Through VOX Music Player, cloud can offer a decent selection of free music perks too. listen to YouTube music directly through the Mac app (the same feature for iPhone is currently being developed). No fees applied for that which makes it a great YouTube Red alternative. 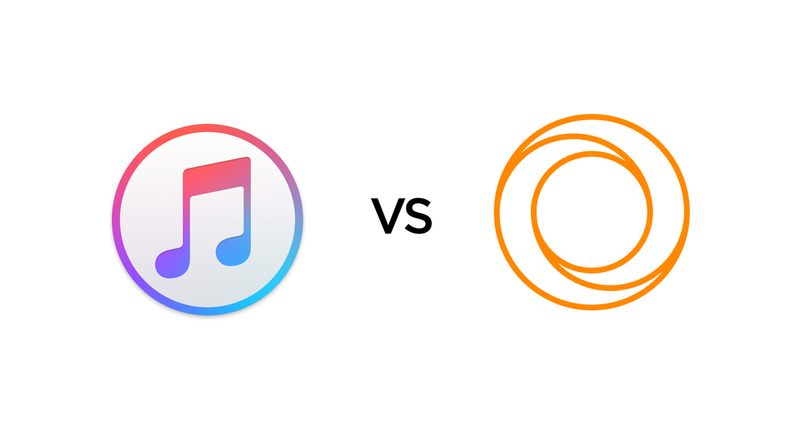 What to choose - VOX Cloud Player or iTunes Match - the decision is up to you.